AFC Blackpool couldn’t cause an upset in the second round of the Macron Cup as they were comprehensively beaten in Cheshire, where Scott McGowan scored a hat-trick for Northwich. The young AFC side were underdogs against a club who play a level above them in the Hallmark Security League and went into the tie in good form. For the first 20 minutes AFC matched the home side, but once 1874 took the lead they never looked back and scored three goals in seven minutes. 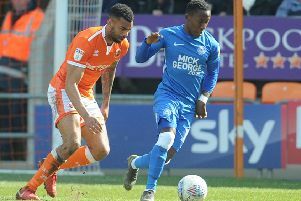 Samuel Hare gave the hosts the lead after 21 minutes and McGowan’s double ensured it was 3-0 before the half-hour, though Blackpool did not concede again until the dying minutes. There was no way back for Dave Worthington’s side, though, and McGowan completed his hat-trick on 82 minutes, Callum Gardner adding another well-worked goal six minutes later. In could have been worse for Blackpool as desperate defending kept the score down, while at the other end they failed to trouble an injured home keeper throughout the game. AFC return to first division north action at home to second-bottom Holker Old Boys tomorrow. Blackpool: Cameron, Betteridge, Donaghy, Taylor, Baird, Bishop, Fishwick, Gourley, Pickering, Bradley,Duffield; subs: Caunce, Dickson, Menzies.